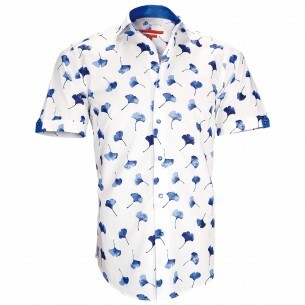 available and constantly renewed models, it is obviously possible to find shirts of all kinds. A closer look, however, could easily isolate two major stylistic trends in our collections, streams which are respectively represented by two of our brands, Emporio Balzani for fashion Italian and Andrew Mc Alister for elegance English. However, we remain of French designers. We live and design our shirts in France and the influence of the national mode is therefore also felt in all of our creations. And we believe that it is this ability to assimilate the best of these three trends, which much of our strength and originality. England, France and Italy are undoubtedly the three nations that forged the Western way. That is why we draw from these three traditions with fun, to synthesize, sometimes focusing on fashion across the Channel, or the transalpine mode. Fashion and Italy: a love story! Fashion is a lifestyle, it reflects the character of a people and the particularism of a nation, so to speak, its soul. Italian fashion and represents a certain exuberance, a zest for life that is expressed first by choosing a palette of bright colors and shimmering. Italy is a sunny country, singing, inspires a zest for life special. This is obviously the Dolce Vita which was splendidly in images by Fellini and Mastroianni and played by a generation of Italian actors who had the natural elegance and careful implementation. From south to north, from Naples to Milan via Rome, fashion radiates throughout Italy. Italians are, of all European peoples, the more attached to the elegance and the fact of being well dressed is still use in most cities and Italian campaigns. 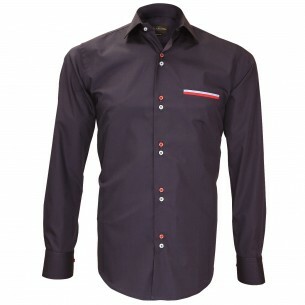 Outside this range of colors, the Italian shirt is defined by a number of details. The Italian collar long outgrown national borders to impose throughout the Western world. This is indeed the most common and most common neck across the planet. He also that blends the best with the tie. More confidential and original Neapolitan cuffs that are halfway between classic wrists and cuffs are also typical. They are both equipped with flaps and buttons. The flaps Neapolitan wrists, unlike those of the musketeer cuffs are bevelled so as to reveal their buttons. The effect is elegant and unique. At ChemiseWeb.com we love the Neapolitan wrists. 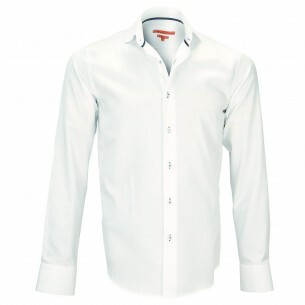 That is why we regularly design shirts with Neapolitan cuffs for both men and women. 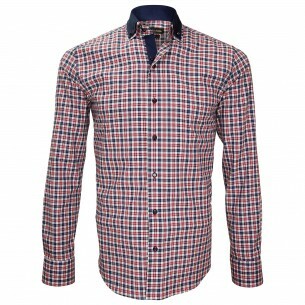 At Webmenshirts we are designer and manufacturer all of our shirts are available from stock in our own warehouse. We deal in all internal control and thus we are able to deliver your order within 72 hours from you via our partner Colissimo international group mail.